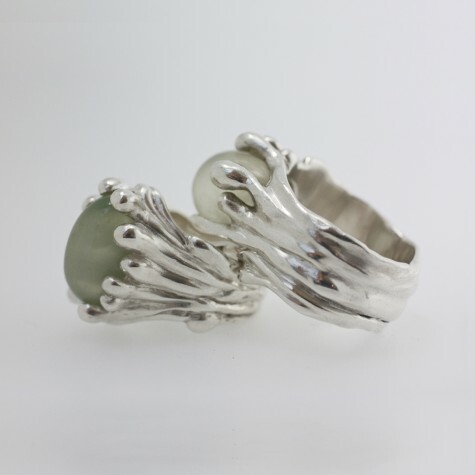 Experimenting with ways to incorporate these beautiful and mysterious quarts cat’s eye stones into rings…. Each stone requires an individual response, further emphasising their respective characters. They’d look fabulous in gold, against those watery green, shimmering gems!